Integrating Research and Education > Teaching with GeoPads > Why Use GeoPads? To learn more about the applications of laptops, GPS, and GIS in field instruction, the Geotimes article Mapping the Outcrop provides a nice overview. This article by J. Douglas Walker and Ross A. 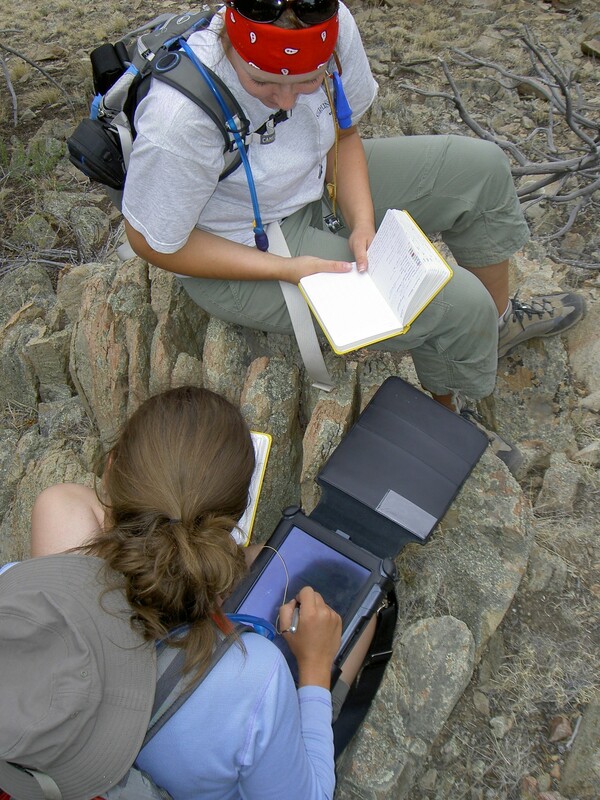 Black focuses on teaching field geology with laptop computers and geographic information systems to bring digital mapping to the outcrop. By bringing digital technology into the field, the traditional skills of mapping and note taking are directly integrated with access to a wide array of geoscience databases, visualization applications, and other information sources. This allows students to engage much deeper levels of decision-making, problem-solving, and critical-thinking while still in the field setting. This technology also allows instructors to more closely monitor the progress of student projects in the field, and to assess the process as well as the products of student field work. For professional geologists, data acquistion and interpretation using digital technology in the field will rapidly become the industry standard.